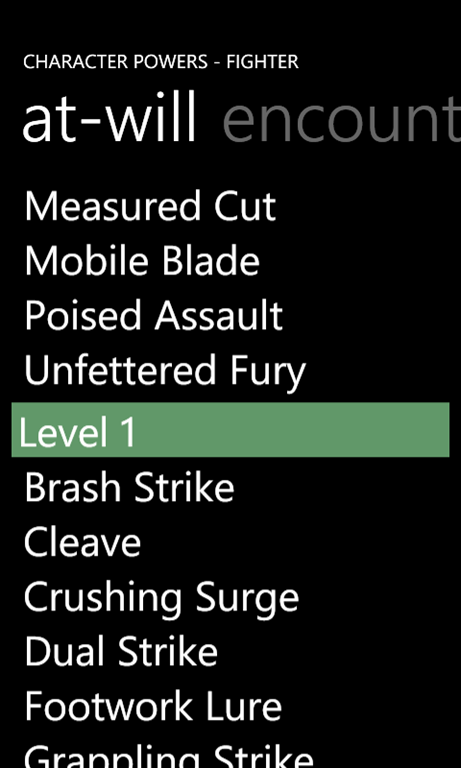 I’ve just released my first app for Windows Phone 7. I’ve been a programmer for years, first as a student, then professionally and now as a hobbyist. This, however, is the first time I’ve seen a project through to official release (aside from a few things released as open source). Needless to say, I’m pretty psyched. 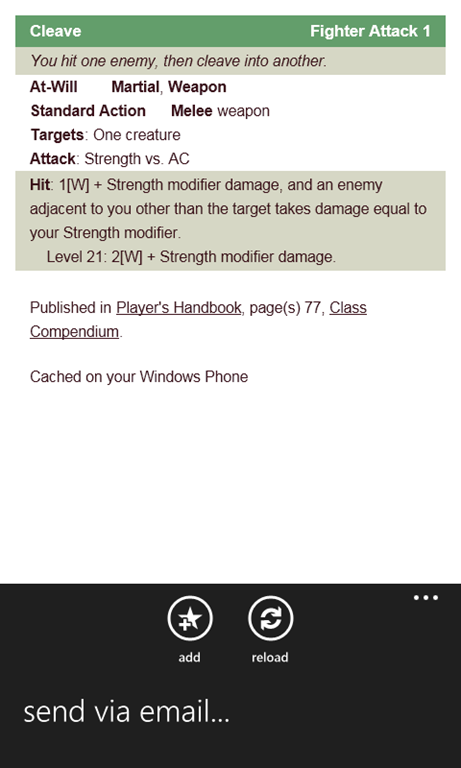 Compendium is a companion app for your D&D Insider subscription for 4th Edition Dungeons & Dragons. 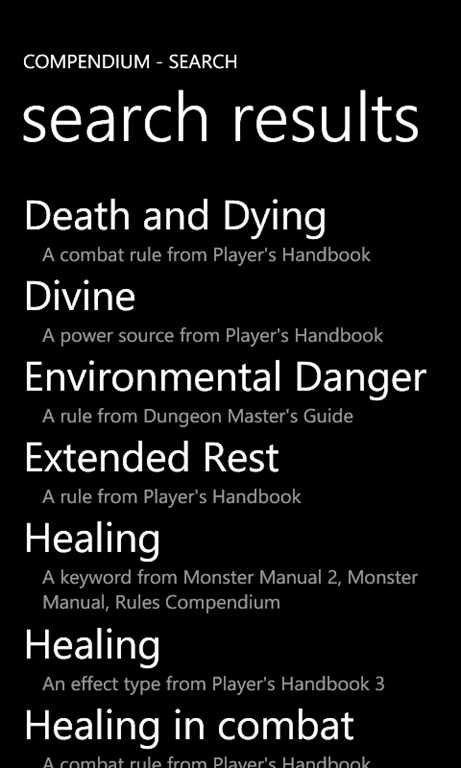 With this app, you can use your Insider account to lookup game classes, races, powers, and rules right from your Windows Phone. 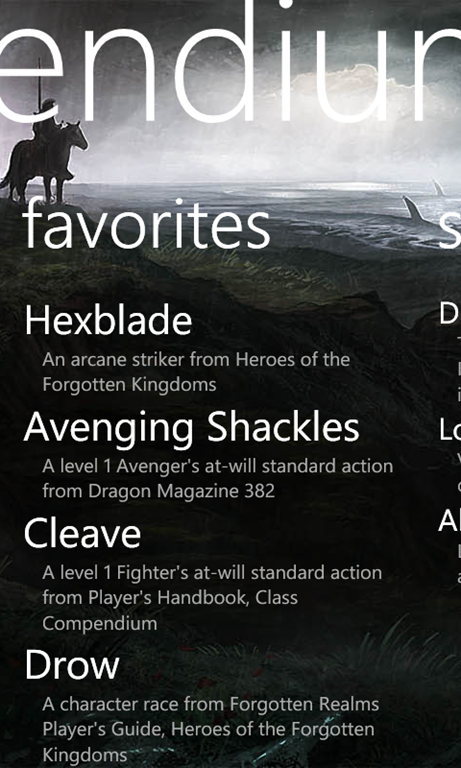 Version 1.0 provides class, power, glossary, and race browsing and searching. If you have a Windows Phone, you can check it out in the App Marketplace.